Love!! 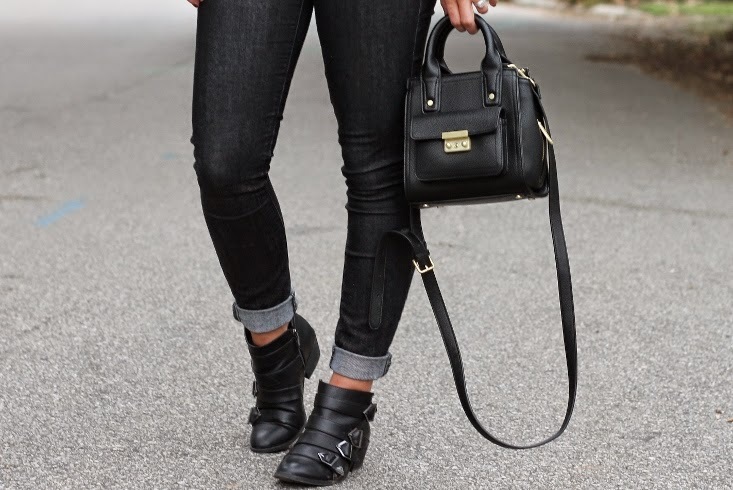 Such a cute look. 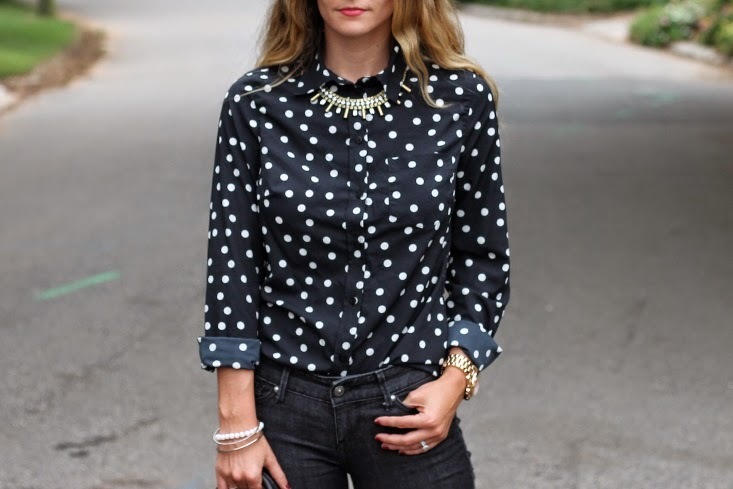 I totally need the polka dot blouse! I do love an all black outfit. This one is fantastic! Target has had some really great pieces lately. That is a great shirt and I'm sure you'll wear it tons this fall/winter. I really love this top! You are making me want to get to Target immediately. And I'm so with you on fall - so ready for cool, cozy weather! I love this! Such a wonderful look! Love the white dots on your shirt. Your shirt is trendy and goes well with the jeans. Love the cute little bag!